HOT OF THE PRESS! Interview with Jeff Stokes! 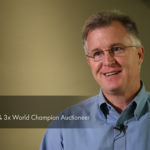 Watch and listen as 3x World Champion Auctioneer and WCA instructor, Jeff Stokes, talks about auctions, auctioneering and his life in the auction business. 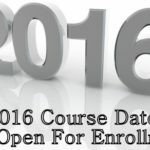 TO VIEW THIS VIDEO, PLEASE VISIT OUR VIDEO GALLERY ON OUR HOMEPAGE. 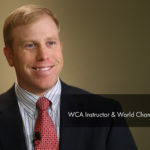 Show your WCA pride! 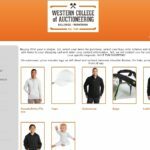 Visit www.auctionschools.com today to select from thousands of WCA branded jackets, vests, bags, hats and even infant clothing. Have fun shopping! We are excited to welcome the 2015 Automobile Auctioneer Champion, Bobby D. Ehlert, as a Guest Instructor during our June 2015 session! WCA Graduate class of March 2015! A fantastic group of talented individuals! 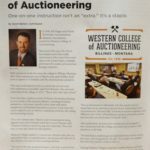 Thank you to the National Auctioneers Association for the Showcase article on WCA in the February issue of Auctioneer Magazine! 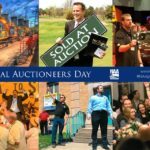 The NAA is a huge asset to the Auction industry and we appreciate all of the work they do! 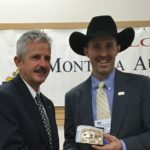 WCA Instructor, Merton Musser, was crowned 2015 Montana State Champion Auctioneer!